Welcome to Distilled History! If you know me, you know I’m a big fan of two things: history and drinking. Specifically, St. Louis history and specifically, drinking well-made cocktails. I’m from upstate New York and I have lived in St. Louis for about twenty years. I’ve always enjoyed living in this town, but I never thought I’d be here long. Recently, I’ve started to realize that my stay in St. Louis is a bit more than temporary. I have a great little house in south city and I have a ton of great friends here. I’ll always consider myself an upstate New Yorker, but I’m comfortable here for now. I’ve also started to become really interested in the history of my new city. 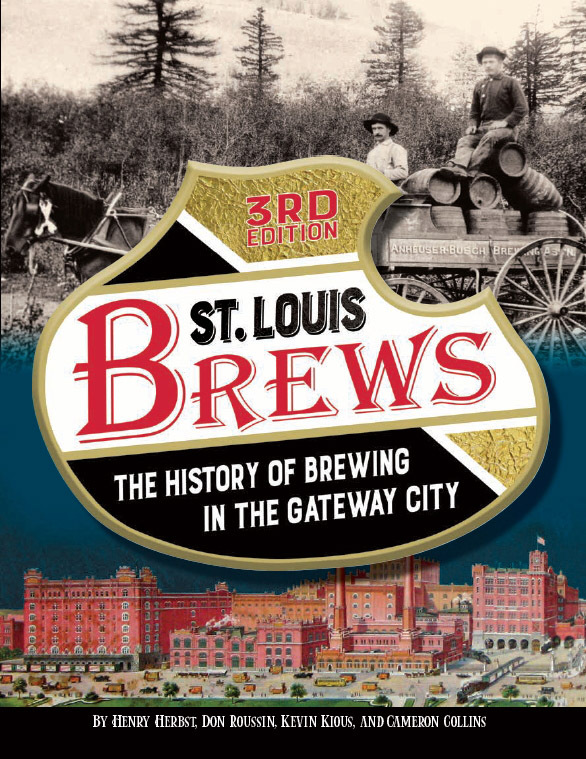 I have started reading books, articles, and blogs about the history of St. Louis and what life was like here over the past few hundred years. It’s turned into a great new hobby. The history in St. Louis is deep and rich. It abounds with tales, monuments, and landmarks that rival the oldest and largest cities in America. The more I read, the more I realize much of the history of St. Louis is unknown, hidden, or even lost. I want to point some of this stuff out to my pals. So I started heading out on my bike to find some of the places I was reading about. In January of 2012, I also started volunteering at the Campbell House Museum in downtown St. Louis. I’m still there today, and I am still amazed at how much I learn about St. Louis each time I walk through the Campbell front door. As all of this came together, I started sending emails to friends and posting facts on social media describing the bits of history I was uncovering. To spruce it up, I started included little maps, pretty photos, and drawings of stuff I found. I was simply having fun, but the feedback was very positive. People suggested it could be a blog. And that’s how this whole thing started. But I also decided my history hunts needed a bit of a twist. As I stated earlier, I love to make and drink cocktails. My favorite cocktail is the Manhattan, and I used to really struggle finding a well-made one in St. Louis (not so much anymore). But as I looked, I started wondering about the history of the drink. This lead me to researching other drinks like the Old Fashioned, the Sidecar, and the martini. Where did these drinks originate? How did they evolve? And most importantly, where can I get well-made versions of them in St. Louis? Wrap it all up, and that is what I’m doing here. I plan to scour St. Louis for its bits of history and post it here. And as I go after a topic, I plan to stop and get a drink or two. I hope to learn more about my drink and write about the places that serve them well. I’ll invite friends to join me and add to the fun. I will certainly post about topics that are well-known, but my focus is the stuff that goes a bit under the radar. I want to find things that native St. Louisans may not even be aware of. Please bear with me as I do this. I am no academic. I’ll eventually start citing sources and give credit where it’s due. I’ll try to mention how I got the idea or give credit to the people who pointed me in a certain direction. My guess is I have much to learn about all aspects of this endeavor. I hope to simply get better as I go. Update 2013: Eight months after starting this blog, I’m proud to report that the Riverfront Times voted Distilled History as the “Best Personal Blog in St. Louis” at the 2013 RFT Web Awards. They also wrote a great article about this blog and how it came to be. The article was printed in the January 23, 2013 issue that announced all of the 2013 RFT Web Award winners. Thanks RFT! Update June 2016: More good news! Distilled History has landed me a book deal among other fun projects. A brief hiatus to concentrate on that project was required, but a regular post schedule will be returning soon. Update March 2017: The book is done! Lost Treasures of St. Louis was released on April 1, 2017. Thanks and have fun reading Distilled History. I look forward to any comments or suggestions you may have. Fantastic idea! if you need help with anything archaeological, let me know! I was recently given this picture of my Great Grandfathers tavern,Welkener’s place. He is the man in the doorway with the bow tie. William “Buc” Welkener. How can I obtain more information on his tavern? Can you recommend a research source that could help? Unfortunately my mother was a “late in life baby” and all relatives are deceased. Only cousins left who know very little, other than that was Grandpa’s place. Sorry I can’t get picture to paste. I’m also a displaced New Yorker living in St. Louis for a while. I also like history and drinking. Can I come with one day? What a great idea!! Love the name too! I’m so impressed! U going on Charlie Brennan’s Bellfountain Cemetery walk Friday? My partner Dr. Jim Schmittel was telling me about it. Great intro. You have a great voice. You’ve inspired me to want to write something similar on my various sites. Thanks, Bancha. Did my sister tell you to read my blog? LOL. I am really enjoying your blog! I think I’m going to add these sites to my St. Louis bucket list! Your writing style flows well, and gives the reader the sense of being at these sites with you. You should write a book! Thanks so much for the nice feedback! It’s been really fun so far. I don’t know about a book… I have to master this blogging thing first! I’m totally making Roman Punch for my next party and maybe I’ll even have it at my wedding! YUM!! Nicely done, Cam! You have picked up a few readers in KC buddy as I am passing the good word on to my more scholarly friends…all 3 of them. This seems a truly worthy endeavor, please stick with! Good on you. I love your blog! I am a recent transplant to St. Louis, and have been enamoured by the history everywhere around me. Thanks for sharing your fascinating finds and I look forward to your updates! I am looking for pictures of the old times in America. I’m especially interested in black and white photographs of motor bikes and bikers. I came across your blog entry on the Thomas Kampland Collection. Since I’m looking for exactly those pictures in high resolution for poster printing I hope that you can help me. It seems like you contacted Mr Kempland directly. I don’t seem to find an Email address or any other way to contact him myself regarding the pictures. That is why I would like to ask you whether you can give me any contact details or connect me with Mr Kempland? I would be very grateful for that! Hi! Not sure if this is the best place to show this but seeing if you have any research or are planning to do anything about the Hyde Park Brewery. Looks like it was operated in north st. louis until the 40’s. I ask because there’s a new building in Tower Grove South on Morganford that says Hyde Park Beer on it. Sorry if you’ve already covered this, I did a search and didn’t find it on the site. Love the site! Good Stuff — thanks for shring Cameron! I’m got some reading to do while I’m in town! I came across this website on FB and am extremely impressed! I am close to one of the former owners of the Beecher house, near Quarry Farm, and we’ve had numerous conversations on the history of those homes, as well as the Gleason sanitarium. Very interesting! Hello Mr. Guswelle, thanks for the nice note! Please feel free to share anything on fb. I do it all for fun, and I’m glad you enjoyed the post. Share away! Hi Cameron, Keep up the excellent historical work. Herzlichen Dank, Merci beaucoup & Gracias. Have very much enjoyed this blog. This blog is awesome! As a native St. Louisan and fellow lover of history, may I say, please stay as long as you like and consider us your neighbors. Thanks so much for the kind words! That kind of feedback is why I do it. Love this town! Just found your blog after a search for “Pictorial St. Louis”. Love it. Lived in Kansas City for 25 years before my recent move to Raleigh NC. Keep the blog (and the cocktails!) flowing! Cheers! Sure enjoyed your St. Louis Cholera outbreak blog. Great tie-in of your 2 passions, well written and amazing that you came across Mersman’s diary. Thank you! If you need insight into public health and communicable disease in the future, let us know. My husband used to run the “CDC” of St. Louis County and is fascinated with how Public Health affects history and community development. He’d love to talk over any questions you might have. Hope you enjoy the Campbell House sketch Amy is bringing you. And thank you so much for the sketch! I look forward to getting it. Come down for a tour sometime. It would be nice to meet you in person. A visit to the Campbell House is on our list! We are newly retired and have quite a bit of site-seeing catching up to do in St. Louis! Hope to meet you some day. But for now it’s just nice to have had this exchange. Love the blog. The history of St. Louis is pretty incredible. Keep up the great work! I would love to have you collaborate on a history of St. Louis project I’m working on! I’m new to St.Louis and think your blog is great! Please add me: jackloughren@aol.com. Hi! I’m researching the Myrtle St. Civil War prison, former Lynch Slave Pen. It seems there’s some confusion about the photo you posted of the Lynch Slave Pen with men in front. Another website indicates this photo was taken at an earlier location for the Lynch Slave Pen on Locust St. Can you look into this using your local resources and find out for sure, is it Myrtle St. or Locust St.? Hi and sorry for my delay in response. It’s been a while since I looked at this post and I had to go back and dig through some things. It looks like you are correct… on the Missouri History Museum’s site, the photo is described as being taken at the earlier Locust Street location. Thanks for catching my error! I’ll update the page as soon as possible. Loved the article in the PD about your book. I’m a St Louis native (60 y/o) now living in Texas, and some of those items were unknown to me. Some I had heard about from my parents/grandparents. I have a brother who is in his late 60s who may remember this stuff. It is on my Christmas list as a gift for him. I laughed out loud when you said people asked you about The Flaming Pit. It is where my husband and I had our rehearsal dinner! And it was after dinner at Noah’s Ark that he proposed. There are many things in STL that have disappeared over the years. Since the question “where’d you go to high school” is a STL staple, you might research all the high schools that have closed over the years. Or breweries…. My great grandfather came from Germany and worked at a brewery (name escapes me) and there were several small ones. I too enjoyed the blog about the water towers. Only one I had not seen. I was interested in their functions. Thank you so much! There actually is a school section in the book. I feature a few of them (Cleveland, McBride, etc), but I also have a full list of all of the schools that are now gone. I’m looking for specific information on a historical house my grandmother owned back in the 1940-1950 at 5106 South Broadway. As i recall, the original owner, a liquor distributor’s family was murdered in the house and no one wanted it because of the violent history. It was a three story red brick Victorian on about an acre with a carriage house in the back and a deck that overlooked the Mississippi and train tracks below.. I visited there on summer vacations. Do you know where I can access the information on this house and the murder story and if any pictures of it might be available? Just found this site. So interesting for researchers. Thank you for all your hard work. My grandmother told me my Grandfather had family named Schaffer, who owned a large restaurant in St Louis in the late Nineteenth Century. I now wonder if the name of the family was Schaiders. My grandfather was raised in Hermann, MO when it was a German community. It happened something like, ….. / Wikipedia.org / Wiki Flag of St. Louis / Source Reference #4 / “Our Flag is Better Than Yours” Cameron Collins @ Distilled History / JACKPOT! Haha. Cant wait to read through your archives. STL roots run deep. Thank you so much for showing folks (and myself) what that looks like. Thanks for sharing this! It makes my day. This is the best blog on St. Louis history!! Had you ever considered investigating the cigar industry in St. Louis. My 2nd grand uncles had a cigar business on Stansbury Street in the 1880’s. I accessed the city directory of 1889 to discover there were many small cigar companies in the city. I always wandered why St. Louis had so many cigar businesses. Beer and cigars go so well together.